What could I possibly find more exciting than a monochrome collection, given my adoration of black&white? A monochrome couture collection you say?! Ohhh yes, boy oh boy am I talking couture. 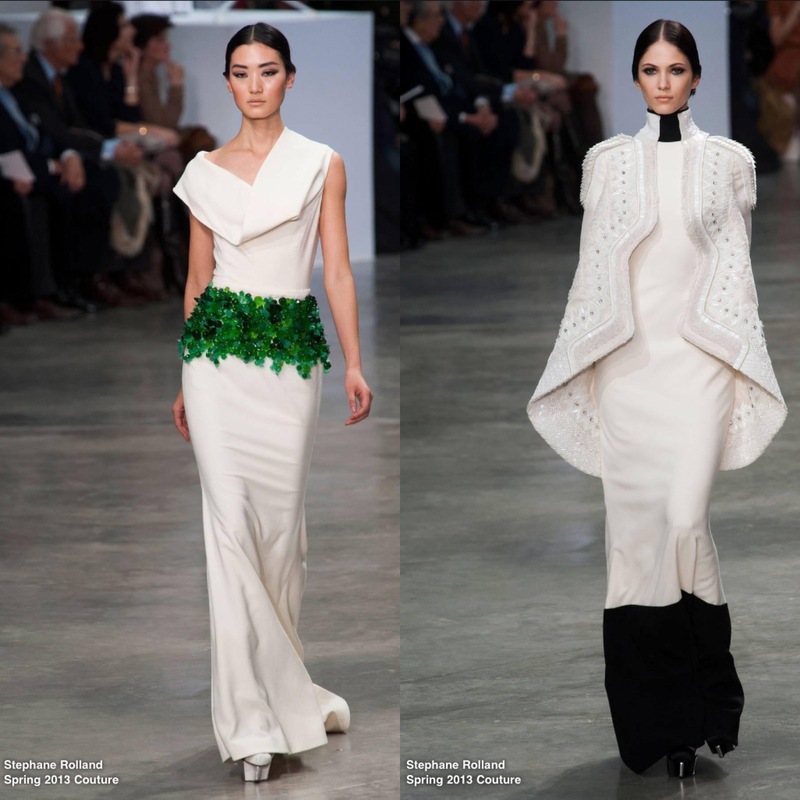 Couture with Hollywood glamour, androgyny, sharp tailoring, shiny things AND a slight hint of emerald green? No, it cannot be! They say that if something sounds too good to be true, then it probably is. But not in this case!! 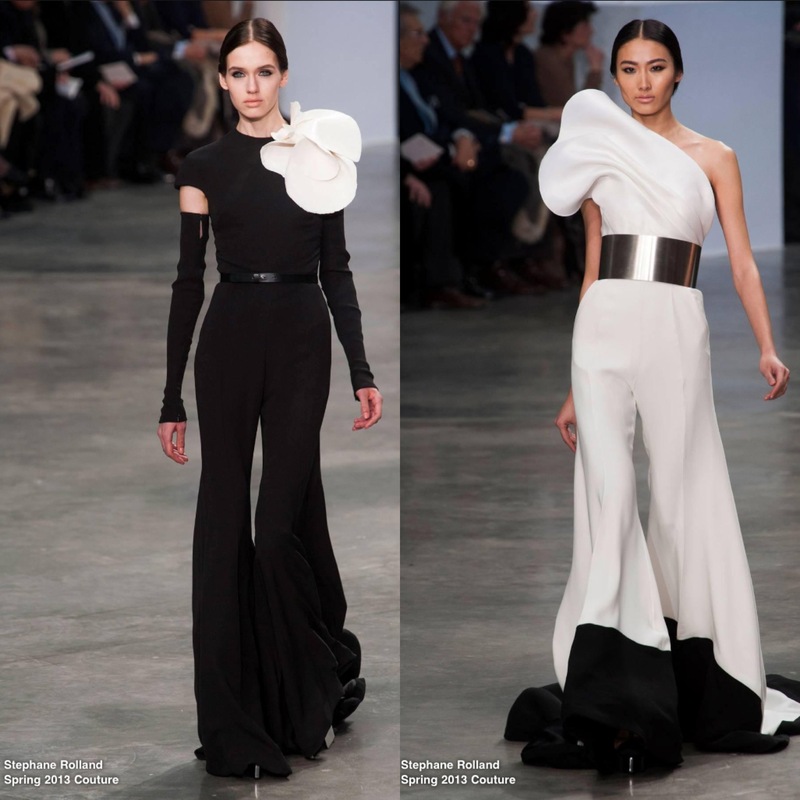 Here I bring you the Stephane Rolland Spring Couture 2013 show shown in Paris last week, and my, what a spectacle! My commentary could never do this collection justice so I’ll just say this: I will go to bed tonight dreaming of walking into work, Starbucks, my old school, or wherever my imagination takes me, wearing any piece from this collection. Because let’s face it, to wear any of these, you’d automatically become a superstar. This entry was tagged 2013, catwalk, couture, fashion, fashion show, glamour, Hollywood, kim kardashian, monochrome, Paris, runway, stephane rolland, style, trend. Bookmark the permalink.